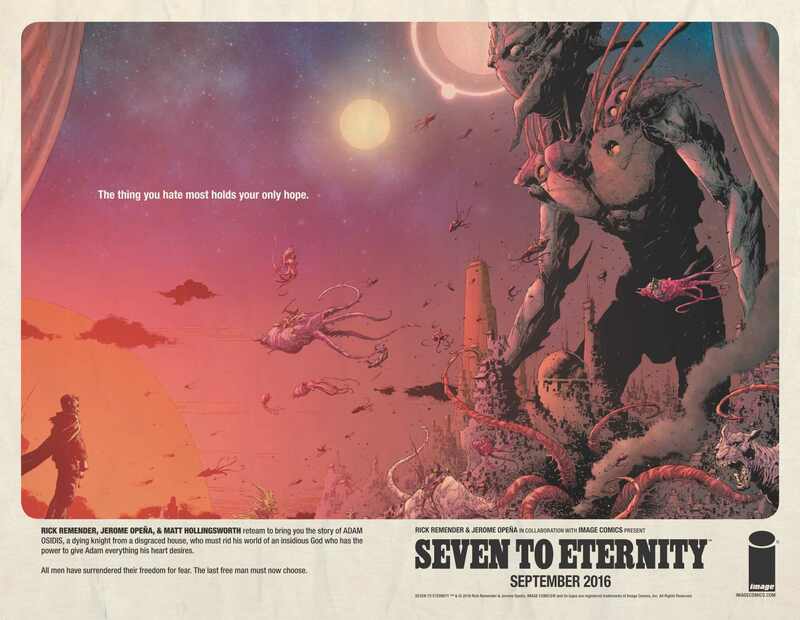 Seven to Eternity #12 confirms what has been evident since the second arc: the series has been trending away from Remender’s best work. Despite the hiatus, this comic has not lost any steam. 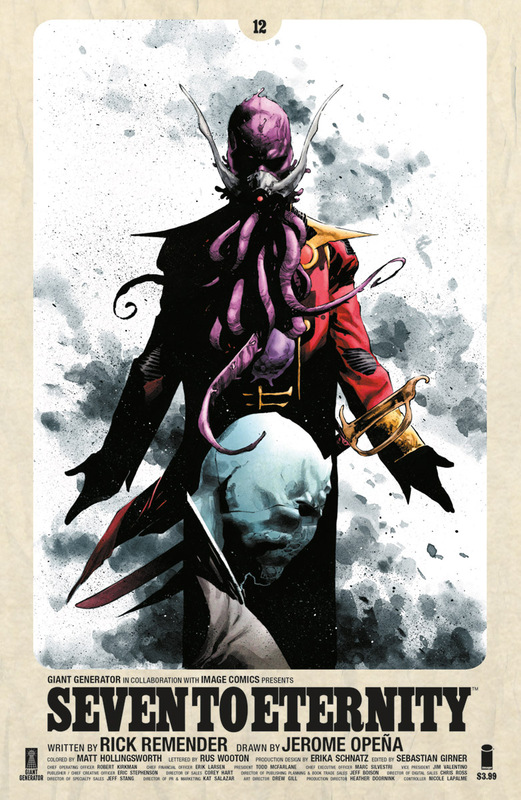 Remender and Opeña are back on track with Seven to Eternity #10, a comic I rate as a strong BUY. 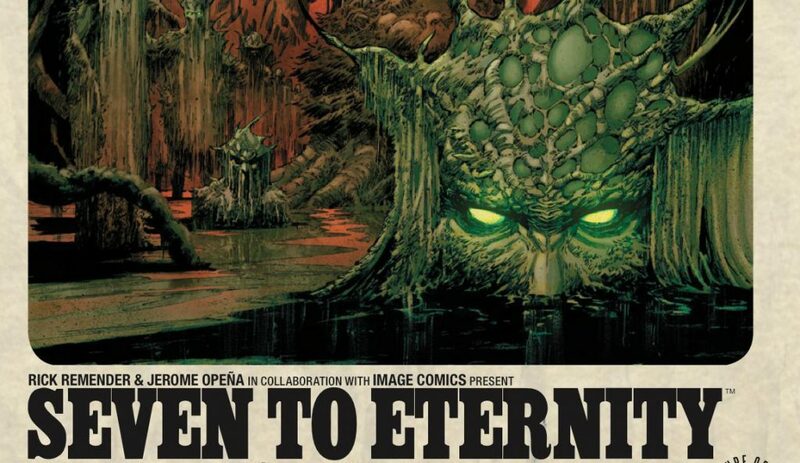 Seven to Eternity was this weird grey creature staring directly at you, and even though you can’t see his eyes, it’s as if his gaze pierces your soul.